I had the pleasure of borrowing both the mono Manley Reference microphones recently — the Reference Cardioid and Reference Gold. These mics have been selling consistently for over 20 years, which should tell you something about their appeal. They are both modern-day classics. To hear them in action, I arranged a test on the most complex, detailed, and nuanced instrument I could think of: the human voice. The session took place at Loudville Studios in Sausalito — home of the Microphone Show, among other musical broadcast treats. 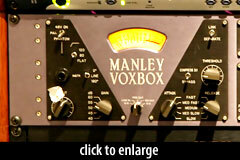 We ran all the mics through a Manley VOXBOX preamp. The compressor, de-esser, and EQ were all disabled for all microphones. We adjusted preamp gain to produce consistent input levels in Pro Tools. The session took place in Loudville’s big live room, rather than in a booth. As a result, if you listen carefully you might hear some ambient sounds from Loudville staffers going about their business, or the HVAC system running on a different floor. All the tube gear was given time to warm up prior to use. Mark read the intro from a recent episode of Loudville’s monthly concert broadcast show, Off the Record (view the trailer for Off the Record here). 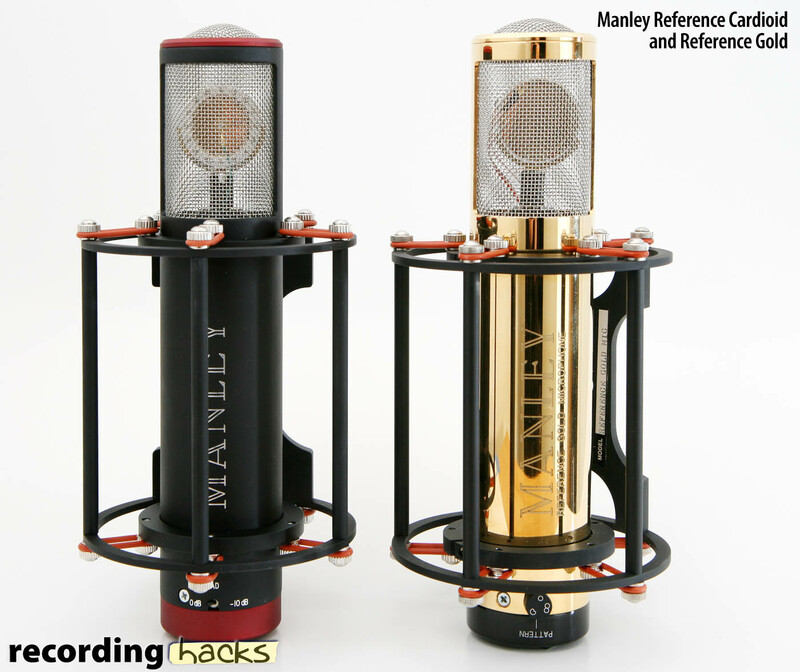 My original concept for this test was to put the Manley tube mics against a Bock Audio 251 or 507. The 251 has a CK12-style capsule, like the Manley Gold, whereas the 507 has, more or less, the amplifier circuit of the U47. We were on a tight schedule, though, and the only Bock mic available was the 195 — a fine microphone by any measure, although arguably a bit out of character for this lineup of tube mics. We were happy to have it, though, and I am compelled to point out that the 195 shares a K67-style capsule design with the Reference Cardioid and MXL Revelation. It also has a seriously gigantic output transformer. * We don’t intend to suggest that the capsules in any of the contemporary mics are precise duplicates of the Neumann K67 or AKG CK12 capsules. Rather, this column simply suggests the style of the capsule employed within each mic. 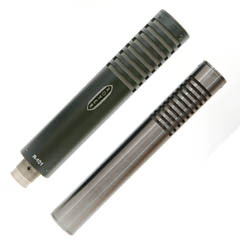 We had five premium condenser microphones, one of which is the legendary U47. They all sounded really good, and if you had any of them, it wouldn’t hold you back from recording voice or just about anything else. But, let’s split some hairs. I’ll note my impressions, and invite you to comment too. Most of the K67-based mics are a little hot on the ESS sounds for my taste. One exception is the Bock 195 in “Fat” mode, which seems to balance out the high end. The CK12 capsule, like the K67, has a natural high-frequency lift. But I don’t find the Manley Reference Gold at all sibilant on these clips. In fact, on a first blind listen, I thought the Gold was actually the U47 track. 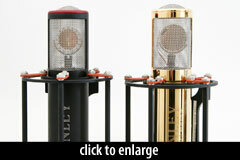 These two have the most similar high ends of all these microphones, with the Gold being just a bit brighter. The Fat/Norm switch on the Bock 195 is pretty neat. The effect is subtle, but wonderful. It seems to warm up the voice without obviously EQ’ing it. The additional low-end warmth balances out the higher frequencies. I hear HVAC noise on all these clips. 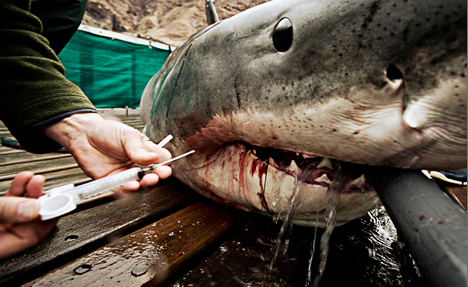 We couldn’t kill it during tracking, but we did monitor it to make sure it was consistently on for every take. So, each mic recorded the same ambient noise… and it sounds nearly the same on all these. The one exception is the MXL Revelation, which seems to add a thin layer of white noise on top of the HVAC. In summary, for this voice I could use either Manley, the Bock 195, or the U47. I’d put the Bock 195 in “Fat” mode, and maybe dial down some high-frequency EQ for the Reference Cardioid. The Gold and U47 both sound very balanced and smooth already. The self-noise on the Revelation is catching my ear on this clip. After compression, it would be worse. For a louder source, the noise wouldn’t be a problem, but on this application I’d reach for one of these other mics first. The commercial sample has a very different sound. Mark gave a louder delivery, in a higher register, and I think it was a really useful test because it challenged some of these microphones. Mark’s voice is pitched up, and to my ear would benefit from a different EQ curve than most of the K67-based mics provide; they come across as thin and sibilant. To be sure, preamp or downstream EQ could balance out the sound of any of these mics. Or perhaps a commercial session might call for this sort of bright, cutting sound. But I’m not sure I’d want to listen to more than 30 seconds of it. For example, the phrase: “the bessst mic websssite on the planet” sounds piercing and untamed on the Ref Cardioid, 195/Normal, and Revelation. The 195/Fat, Ref Gold, and U47 sound more restrained, in a good way. The U47 and Reference Gold are both great here. The U47 has a little more weight in the low-mids. The Gold is a bit more open on top, although not as open or clear as the 195/Fat. I would be happy to use any of these three mics. Didn’t you do this once before? 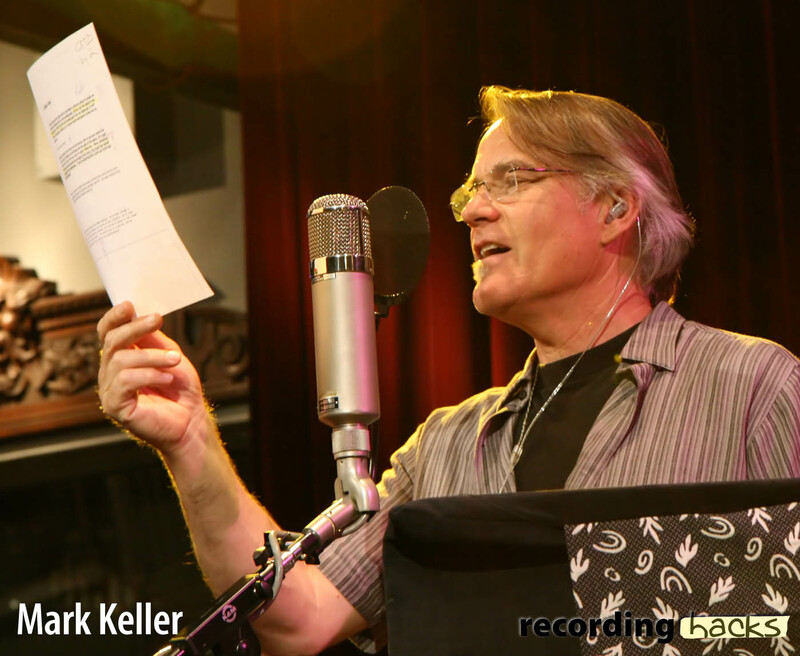 In fact, yes — Mark Keller did a commercial demo through the U47, the Revelation, and the dual-tube SE Electronics Gemini II. We have audio and video of that test, too, right here: Tube Mic Voiceover Test. I love to read what other folks hear in these clips. If you’ve taken the time to listen, please drop a comment to share what you heard. This test could not have been possible without the help and cooperation of numerous people. Special thanks to Chris and the gang at Manley Labs, and Brad Lunde and his team at Trans Audio Group for the gear loan, to Mark Keller for fantastic vocal performances and the use of his million-dollar studio, to Mathew Trogner for engineering and video editing, to Josh Petersen for capturing video, to Beth Fenn for ongoing support. I really liked the Bock 195 and the Manley Reference Cardioid in the first samples. For the second set of samples I would go for Reference Gold without any second thoughts. But considering the price, I was really impressed by Bock 195 and was surprised at how good it compared against U47 and the uber-expensive Manleys, especially in the first test. I own a Bock 195, and have been raving about it to anyone that’ll listen! Glad to hear it acquitted itself so well against such esteemed competition. I’ve always had the Bock 195 in the back of my mind, but had never heard one specifically, and there aren’t any to borrow on my side of the planet. So imagine my delight at picking the 195 ‘fat’ every time blind! I’m a huge fan of good transformers (in everything dammit!) and it really shows up in the magical low end and natural top end of the Bock. My next fave blind pick was the ’47, but I found the top end constrained and prefer the more modern top end of the Bock 195 in’fat’ and on of the Manley’s (the less expensive version LOL). Since most mics only give you omni, cardiod or figure 8 – cardiod only is not a limitation for most applications. Given the price and the ‘fat’ switch versatility, the 195 is a great choice, and I really appreciate recordinghacks arranging this demo for me to hear it. One quick note – while .wav files are nice, 99% of the world is going to hear your recording through a compressed medium – digital TV broadcast, mp3 or youtube. If you can’t hear the difference in that arena, don’t spend money no one will hear. Still, even at the lowest setting, you could hear a fair degree of difference between the mics . I have and don’t use too much the Ref C for voiceovers. BUT this mic sounds better with a Neve 8801. The Voxbox add more “air” in that mic. Darker pre + Ref C sounds better. 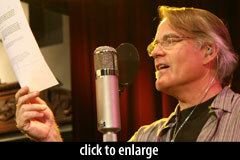 I can make some tests for you… I have Millennia pre-amp and some Soundelux mics… contact me. 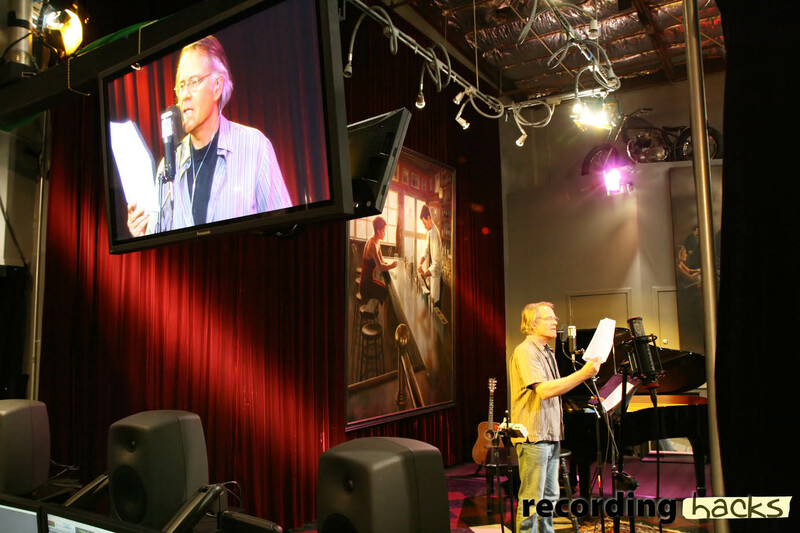 For both narration and commercial, Mark Keller allies great voice and delivery. With regard to the narration, I find myself favoring the Bock 195 (fat) and the Manley Reference Gold about equally: the Bock is slightly smoother; the Manley has slightly better clarity. With regard to the commercial, I have to tip my hat to the Bock 195 (fat — and I don’t find the difference between “fat” and “norm” all that subtle): smooth but articulate, it has presence without piercing highs. Very nice test, but I’m wondering… is it just me, or does anyone else hear a bunch of digital hash in the video? Kind of like an elevated noise floor. It goes away when the video goes to black… what is that, some kind of compression artifact? I don’t hear it… thankfully… in the individual tests. Monitoring with AKG 271 headphones. @BG, I hear it too, even in the HD video. The sound is not there in our audio files, nor in the original video that we uploaded to Youtube. So, I blame Youtube’s compression code. I like the Manley’s. Honestly, it was hard to tell the difference between them.. I guess since I haven’t met Mark in person, what is of the most value to me is which is the most accurate in reproducing his voice as he read it. Anyone who knows his voice well, it would be great if you could chime in. I am looking for a mike that is accurate to the source, with the minimum of dynamic hash or sizzle, but effortless in reproducing it. If the mike aired in being a little bit bass heavy or warm, that would be ok with me. By the way, great tests & methodology. This is one where I would love to be in the room when the tests happen. Maybe with reference headphones and the ability to A/B the actual voice vs the miked voice. Maybe that doesn’t compare closely at all with the reality of reproduced sound. Matt or Mark, can you weigh in? Hi Jim, I think “accurate” is overrated. The U47 certainly never has been described that way. For the purposes of a test like this, I think it is possible to make conclusions about which of the mics is most appealing, or most clear, or most authortative, etc., without having been in the room. Listeners aren’t ever in the room, either. So, I think it’s more fruitful to focus on whether the recorded track communicates the desired intent, whether that is intimacy or conviction or something else. Identifying the mic that does that the best for a given source, a given room, and a given budget is sometimes a years-long quest. Making that quest shorter and more rewarding is in large part why this website exists. I love the Manley Reference Mic in the Narration samples. Great tonal quality and well balanced. On the Promo spots I can’t say I felt there was a mic that really ran ahead from the crowd. Though I will say I was impressed by the Bock Audio 195 (Fat). Thought it held it’s own nicely and is worth a look. I wanted to buy the Manley reference cardoid but after this test…. The Bock 195 in fat mode sounds amazing for me and I really want to buy one. As a voiceover home studio consultant, I often get the “which mic should I buy for MY voice?” I definitely like the two-for-one aspect of the Bock 195, which makes my job easier when picking mics for clients. It’s also the least scary price of the bunch. I think there’s too much proximity effect on the narration passes, with moderate plosives illustrating that fact. 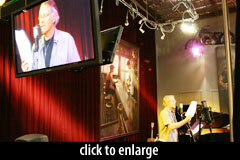 I would place the mics a few inches further, or simply place high and down out of the airstream. The video really is helpful to see how the mics are placed, but the digital hash is pretty bad. Not sure I’ve heard something like that on Youtube before, but it’s certainly not the place to go for un-tarnished audio. Thanks for your efforts Matthew and Mark, as well as showing this post to me, Ryan Stephenson! In both tests, I picked the Bock 195 (normal) in 1st place and Manely Reference Cardioid in 2nd… The Bock in fat mode got 3rd place tied with Ref Gold (I like bright mics). I guess I have to consider the versatility of it’s 2 modes in my shopping list! I’m at step 1 of beginning a home demo recording set up. I bought the Bock 195 before hearing the test, based on some online info, and the fact my fiance` used it in a session recently, and loved it. In the test, (thank you, thank you), I preferred the U47, and liked the Bock second. The Manley Reference would be great for voice overs imitating old radio shows, but the Bock gives some of that with the Fat switch on. I’ve listened to some tracks done with the Bock 195 and the Telefunken AK47, ( sibilance or not, those 47 mids are killer, and the voice just reaches out to grab you) )and prefer the T-Funk, but don’t have the extra coin for it at this time, as I’m busy buying everything to get started now. I’ll try to learn the Bock as I go, but to me the pickup pattern seems too wide, even with a close miked vocal, kind of like “wide” switch is engaged. best acoustic guitar sound I’ve ever heard though. If I could afford both, I’d do it in a heartbeat. I liked the 195 in normal mode best. A bit too aggressive but the voice stands out. Manley Gold sounded muffled. Where can I find an EQ tutorial? I’d love to see a pro turning raw into a better sounding sample. I’d love to which frequencies he touches etc. Is there such thing?